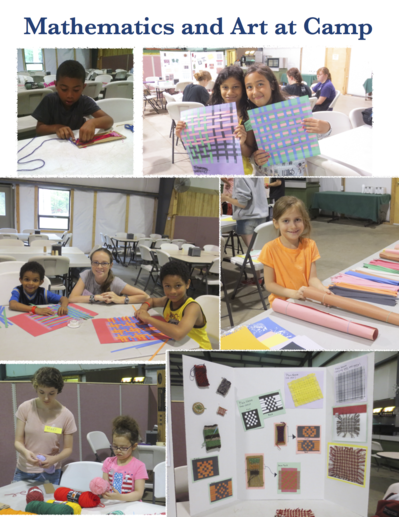 In recent years, Prof. Shelley Rasmussen has be doing research into the mathematics of weaving. She has gotten several students involved in her work. Most recently, math majors Olivia Demers and Mary Mersereau had been working with Shelley. They recently shared their enthusiasm for the subject with some children in a local summer camp. 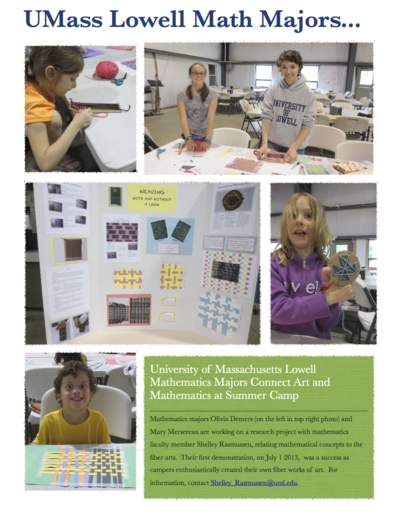 For more information on the mathematics of weaving: Shelley_Rasmussen@uml.edu.